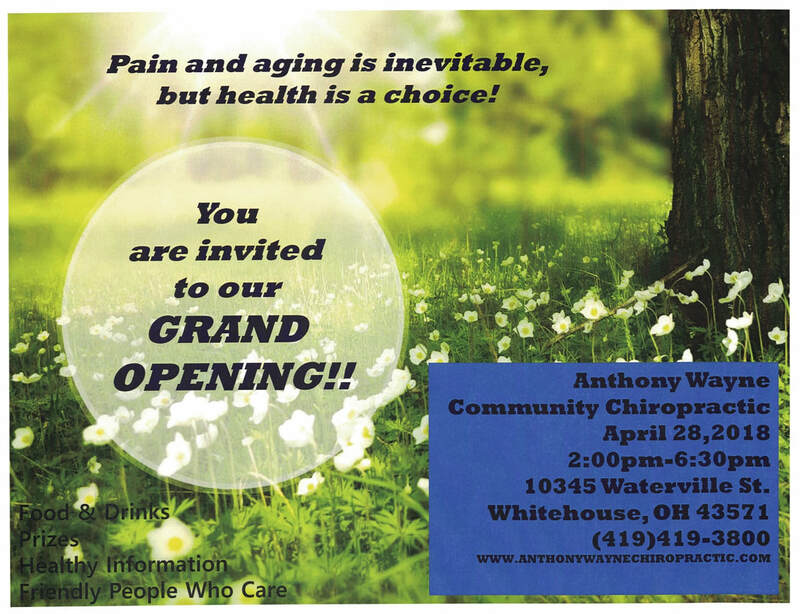 Our Open House on April 28th was a huge success. Thank you to everyone who joined us!!! 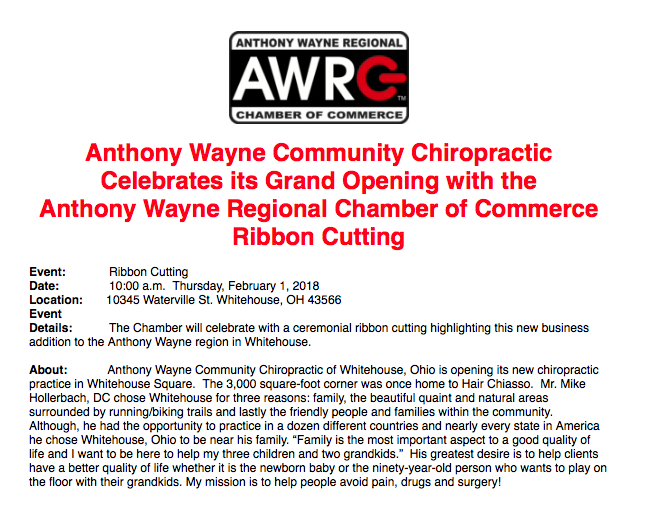 Anthony Wayne Community Chiropractic Celebrated its Grand Opening with the Anthony Wayne Regional Chamber of Commerce Ribbon Cutting on February 1, 2018.